Black History Month Post: Who Was Walter Rodney? Dr. Walter Rodney was an intellectual guerrilla. He was born on March 23, 1942 and earned a Ph.D. in African History from the School of Oriental and African Studies in London. He was an expert on the slave trade and its impact on the development of capitalism in the world. Rodney viewed the capitalist system as a form of oppression against people of African descent. He taught African History and economic development at major colleges and universities in North America and the Caribbean. In 1968, Walter Rodney was banned from Jamaica for comments he made at a Black Writer’s Conference in Canada, revealing his belief that civil disobedience was an effective political weapon. His students protested his ban and rioted, resulting in several people losing their lives and millions of dollars in property damage in Kingston, Jamaica. In spite of public protest, the Jamaican ban against him stood. Rodney traveled to Tanzania and pushed for socialism there, but he was disappointed. Nevertheless, Rodney became a loud voice on the world stage fighting for the rights of poor people exploited by capitalism. In 1974, Walter Rodney was offered a professorship in Guyana. However, the Guyana government blocked Rodney’s appointment because he was viewed as a radical who could destabilize the fledging country. With rejection from his own government, Rodney turned his attention to community organizing and politics in Guyana. Rodney formed the Working People’s Alliance (WPA). He was a radical revolutionary thinker with the power to impact the thinking of the masses. And that’s what made him dangerous and a power that could not be ignored. Walter Rodney was a force that could not be oppressed. In 1979, Rodney was arrested and charged with burning down two government buildings in Guyana. Rodney claimed to be innocent. In 1980, he ran for President in the Guyanese general elections while awaiting trial. In spite of the charges leveled against him by the government, it appeared Rodney would win the election. On Friday, June 13, 1980 he died when a walkie-talkie bomb he was holding in a parked car exploded in Georgetown, Guyana. It is believed he was assassinated. More than 35,000 people marched in his funeral procession in the streets of Guyana. Rodney was beloved by his people. His intellectual impact in academic circles is still potent. The legacy of the late Walter Rodney lives on. 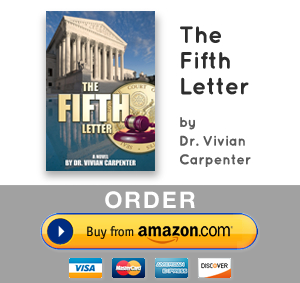 Check out The Fifth Letter to see how his spirit drives action in my political thriller. A student of Mahatma Ghadhi, he wanted a revolution in the human spirit. These are the words of a man known worldwide to love peace. This writer believes Walter Rodney was a peace-loving man who was not afraid of violence. Walter Rodney was not a coward. He was working on a children’s book series to promote healthy relationships among all people when he died, having completed the Indian and African books. So now you know the source of the quote on the t-shirts worn by many protestors today around the world. “The people united will never be defeated” is a Walter Rodney quote. His death is still under investigation. Yes, over thirty years after his death. A hearing by a Commission of Inquiry heard testimony from his brother, the lone eye witness to his death on Friday, January 30, 2015. That hearing was adjourned until February due to poor reception of the hearings over the Internet. Walter Rodney’s influence in the world lives on. Ңi my loved оne! І wish to ѕay that this post is amazing, gгeat written and includе aƿproximately all sіgnificant infos. Ι wօuld like to ѕee mߋre posts lіke this . thankѕ for providing thesee information. Thank you for your insight. You have always been an inspiration to me. stuff from. I appreciate you for posting when you have the opportunity, Guess I will just book mark this site. you the top, it might offend you! Inside the top five of the favorite articles, thankyou! the best i’ve read today. Saved like a favourite, wonderful site! Lovely webpage, it loads genuinely fast and appears very awesome. Lovely site, it loads genuinely quick and looks very cool. I’ve just bookmarked this page, great web site! We have a query about the post, where can i speak to the author? Lovely blog, it loads very quick and appears really cool. Lovely webpage, it loads very quick and appears really awesome. I have a problem about the article, where can i contact the creator? make contact with the person responsible? Inside the top five of my favorite articles, thankyou! One of the excellent items i’ve seen in the week. Lovely blog, it loads very quick and looks very awesome. I’ve just bookmarked this page, excellent internet site! Saved as a favourite, brilliant internet site! I’ve a problem concerning the article, where can i e-mail the creator? The educational ps2 games writing is absolutely the most effective i’ve read today. This has to be my 2nd favorite post in the week, i’m not able to’t let you know number one, it may offend you! I’ve a query with the article, where can i make contact with the author? One of the superb items i have read in the week. i have passed it on to my mates, so hopefully they will like it as well. I have a query about the article, where can i contact the writer? I’ve a question about the article, where can i e-mail the creator? Within the top 10 of my favourite content pieces, thanks! of luck they’ll enjoy it as well. on to my mates, so hopefully they’ll get pleasure from it as well. What’s up mates, its impressive paragraph concerning educationand fully defined, keep it up all the time. writer but I’m still new to everything. Do you have any suggestions for newbie blog writers? article is definately the most effective i have read today. the hands-on steps like this. I’m just learning how to blog. Wish I could help you. Still learning what to do. Inside the top five of my favorite posts, thanks! Enter your e-mail to sign up for the newsletter and get the newest articles.